James Meredith's 1966 march in Mississippi began as one man's peaceful protest for voter registration and became one of the South's most important demonstrations of the civil rights movement. It brought together leaders like Martin Luther King Jr. and Stokely Carmichael, who formed an unlikely alliance that resulted in the Black Power movement, which ushered in a new era in the fight for equality. The retelling of Meredith's story opens on the day of his assassination attempt and goes back in time to recount the moments leading up to that event and its aftermath. Readers learn about the powerful figures and emerging leaders who joined the over 200-mile walk that became known as the "March Against Fear." 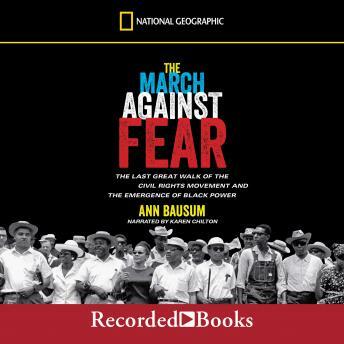 Thoughtfully presented by award-winning author Ann Bausum, this book helps readers understand the complex issues of fear, injustice, and the challenges of change. It is a history lesson that's as important and relevant today as it was 50 years ago.